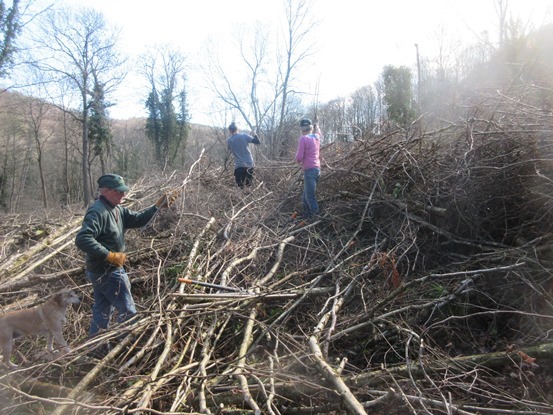 There was a large team but we spread out over the area and have completed about three quarters of the fencing so we will be back there again next week to finish it off and we hope that the weather will be as glorious as it was this week! 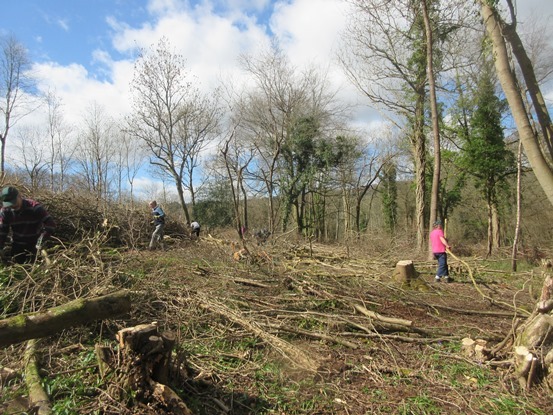 This young lady was tasked with finding and identifying the wild flowers within the enclosed copse. She managed to find the leaves of 16 different types of plants and, with the help of the more knowledgeable team members to identify the leaves, created the list to the right - good homework! 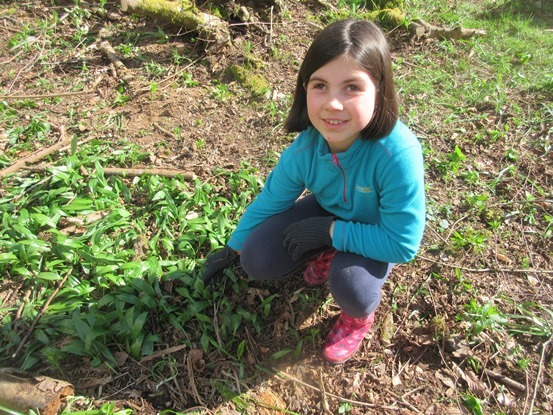 Wild Garlic Leaves in March and flowers in April - June. Dog's Mercury Small flowers from February to April. Bluebells Bluebells are important early flowers for bees, hoverflies and butterflies which feed on the nectar. Celandine It's leaves are high in vitamin C and were used to prevent scurvy. Wild Gooseberry Wild Gooseberry grows in the alpine thicket,rocky areas,woodlands and hedgegrows. Cuckoo Pint A poisonous plant that's found in hedgegrows and woodland . It grows in deep shade to a height of 50cm. Wood Anemone The scent of wood anemones is not as attractive as their appearance - they are also known as 'smell fox' because of the musky aroma of their leaves. Harts Tongue Leaves This evergreen plant has long, tongue shaped leaves like a Deer. Fox Glove The entire plant is toxic (including the roots, sap, flowers, seeds, and leaves. Although the leaves of the upper stem are particularly potent, with just a nibble being enough to cause death. Spurge Laurel Has dark green, shiny, narrow leatherly oval leaves clustered at the top of each stem. Moschatel A small pale yellowish-green single compact flowerhead atop each long narrow stalk. Goose Grass A small pale yellowish-green single compact flowerhead atop each long narrow stalk. Wood Spurge is, as its name suggests, commonly found in woodlands, particularly damp and coppiced woods. Violet Violets are found in moist and slightly shaded conditions such as woodland. Ivy Ivy's late flowering season makes it a valuable source of nectar for many insects prior to hibernation, particularly bees and butterflies. Nettles Common nettle has green leaves that are deeply serrated on the edges. Leaves are oppositely arranged on the stem. 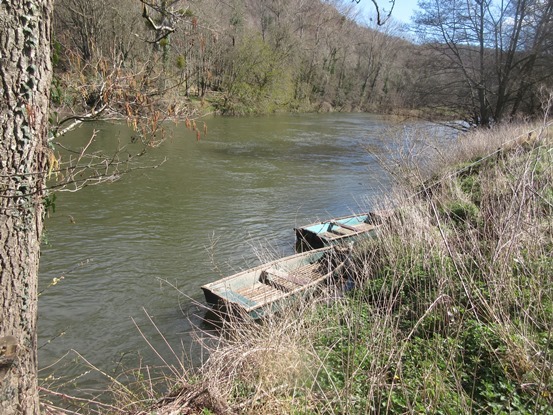 The River Wye runs just below where the Dean Green Team have been working at Hadnock.